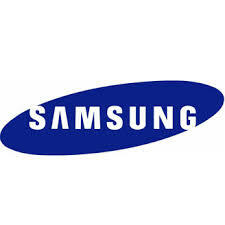 http://www.samsung.com/in is the official website of Samsung India. You can reach Samsung Customer Support / Care through Live Chat, E-Mail Support, Phone Support, Register a Complaint Online etc. Products: Mobile Phones, TV, AV, Cameras and Camcorders, Refrigerators, Cooking Appliances, Washing Machines, Air Conditioners, Vacuum Cleaners, PC, Monitors, Printers, SSD, Memory Cards, USB Flash Drives etc. How to Find Samsung India Service Location near to You? Visit the website http://www.samsung.com/in/support/servicelocation/ and Select the Product you have or need service for. How to buy Samsung Products Online? Samsung Products can be bought Online in India through Samsung E-Store. Visit https://www.samsungindiaestore.com and select the product and provide Shipping Address and Make Payment through Credit Card, Debit Card, Internet Banking or by Cash on Delivery (If available). Step 1: In Samsung Galaxy Smartphones download Smart Tutor App from Play Store and in Samsung Smart TV go to Menu Option and Select Remote Support. Services Available: Find My Mobile, Lock my Device, Ring my Device, Check recent Call Logs, Wipe my Device, Unlock Screen, SIM Change Alert, Emergency mode to save battery power etc. For Samsung New Product Registration and Request a Service / Repair visit https://cybersvc2.samsungcsportal.com/ and Sign Up / Create an Account and Login. Visit Progress of Repair Website and Enter Customer Reference, Job Centre Repair Number, Repair Request Date and click on Search. Visit http://www.samsung.com/in/microsite/takeback-recycling/ and search for E-Waste Collection Point in your District. Enter State, District and click on Search. Visit Samsung Live Chat webpage and select the product category, Enter personal details, Input the problem and click on Start.